Even though I have never met Christopher Hitchens, and only recently, yet sadly, came upon his work, I feel like I have lost a fried. Through his rhetoric and undeniable quit wit, he was un-debatable, a master of words who I can only wish to achieve a miniscule portion of his infinite abilities. 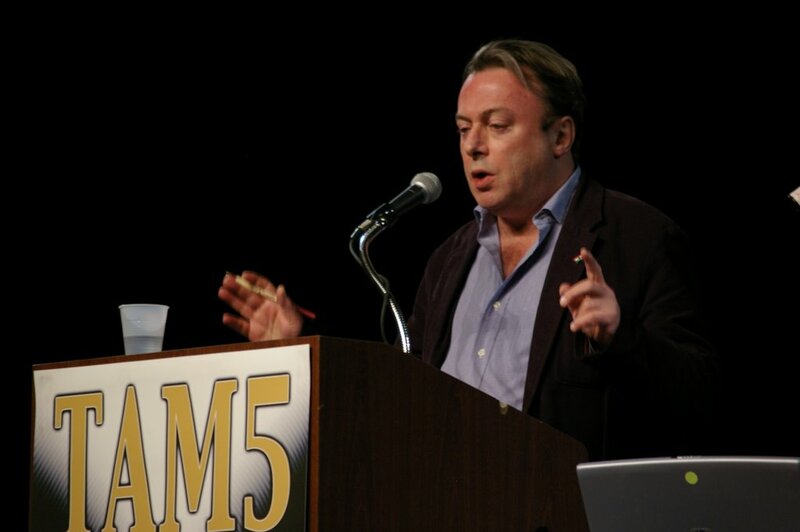 Many may not have agreed with his views on life and the world, but all should agree that Mr. Hitchens was like no other intellectual we have seen in our time and, depressingly, probably never will. Below I have linked to various obituaries and pieces of work that are circulating the Internet. The Occupy Wall Street movement seems to be losing the social momentum it has grasped onto for so long. With the New York protesters evicted from Zuccotti Park, and L.A. and Philadelphia vacated as well, the media appears to be moving on. And so should the protesters. There are a few things that bother me with the Occupy Wall Street movement. First, the bankers are not the only ones to be held accountable for the current financial state of America. In 1999 the 106th controlled, Congress pased and then President Clinton signed the Gramm-Leach-Bliley Act. Even though the Congress was controlled by Republicans, the billed passed with bi-partisan support. The Act allowed for less stringent credit and down payment requirements for working- and middle-class families when pursuing home purchases. [FactCheck.org] This allowed for families who would not normally be able to afford a mortgage the opportunity to own house. The 1 percent consists of 31 percent of managers and executives not in the financial sector. The next 15.7 percent consists of medical professionals. The majority of the 1 percent are not even in the financial sector. If the Occupy Wall Street protesters were honestly concerned about the wealth and political pull of the 1 percent, why are no hospitals or non-financial board rooms being occupied. Until the protesters realize their irony involving the situation, they will not maintain or gain the support and media coverage they received so early on in their occupation. In the turmoil of the Vietnam War, the country was divided. The early 1970s was a torn time for the America public. The war was going unfavorably at the time and the nation was in the midst of great social and racial change. “The Pentagon Papers” detailed the Johnson’s administration manipulation of not only the public, but Congress as well, regarding the Vietnam War. After The New York Times published their story, the United States district court in New York, acting at the Government’s request, issued a temporary injunction directing The New York Times not to publish the documents. The Government claimed that the publication of the papers would endanger the security of the United States. The New York Times appealed the order to the United States Supreme Court, arguing that prior restraint violated the 1st Amendment. The Government was not really afraid of security internationally, but instead exhibited a paranoia of how the public would react; their credibility would be washed away. The case went to the Supreme Court, with the Court ruling 6-3 in favor of The New York Times. The Court couldn’t have ruled in any better way. Though I agree that there are times where sensitive information may be damaging to the security of the Government and allies, if the information is leaked to the media, it is not the Governments responsibility to censor the leak; “The Pentagon Papers” are different. The “Papers” do not hide stringent military documents, but a bold face lie to the American citizens. If the Supreme Court had not ruled in favor of The New York Times, it would have set a precedent that the Government could and likely would get away with even more dubious lying about wars and other affairs. This ruling helped in 2000 when the Associated Press wanted to publish a story about a state-guaranteed loan to a Texas shrimp farm. Lawyers for the AP cited the New York Times case in their argument. The judge lifted the order after two days of hearings. The 1st Amendment is and should be an absolute. The Founding Fathers wrote it as such. Nowhere does it say the Government can censor to press for damage control. Prior restraint is no constitutional and in1971 the Supreme Court realized that. The message of the Occupy Wall Street protesters is indiscernible. The message is messages; cries for “Fiscal Responsibility,” and calling for the end of “Corporate corruption in Washington;” too much for too little time. The Occupy Wall Street campaign is a hell-bent grassroots effort for socioeconomic and political change. The motives are good, but what change (changes?) the protesters want is questionable. The Occupy Wall Street protesters are just as disillusioned and disorganized as the institutions they are protesting against. Their message is just as discombobulated as the media coverage they are receiving. The New York Times is apparently just as confused as the protest they are covering. Times flipped more than the GOP candidates discussing Medicare on how they felt about the protesters – all in the span 20 minutes. Where the shift in blame from the police to the protesters is prevalent is in the lead change that occurs when the headline is changed. Do dozens change to hundreds and allowed change to marched in the span of 20 minutes? The protesters voice is lost because of such flip-flopped media coverage from many sources. In the late 1960s the media displayed the civil war and anti-war protestors as a youthful, self-disenfranchised group of extreme leftists and drug induced hippies, tainting the message, power, and legitimacy of the protests and protesters themselves. Media coverage of what is happening on Wall Street displays the protestors as a youthful, self-disenfranchised group of extreme leftists and drug induced hippies, tainting the message, power, and legitimacy of the protests; even if their makeup is from all walks of the socioeconomic life style. The protesters message may not be a cry for a change in everything, but if their one voice cannot be conveyed through the media outlets that are reporting on them, then their voices will never be heard.